Small bathrooms are a reality of almost any real estate. Even if your home boasts a generous master bath, chances are that there's a guest bathroom or a powder room with minimal square footage. But just because you're working with cramped quarters doesn't mean your bathroom needs to incite claustrophobia. 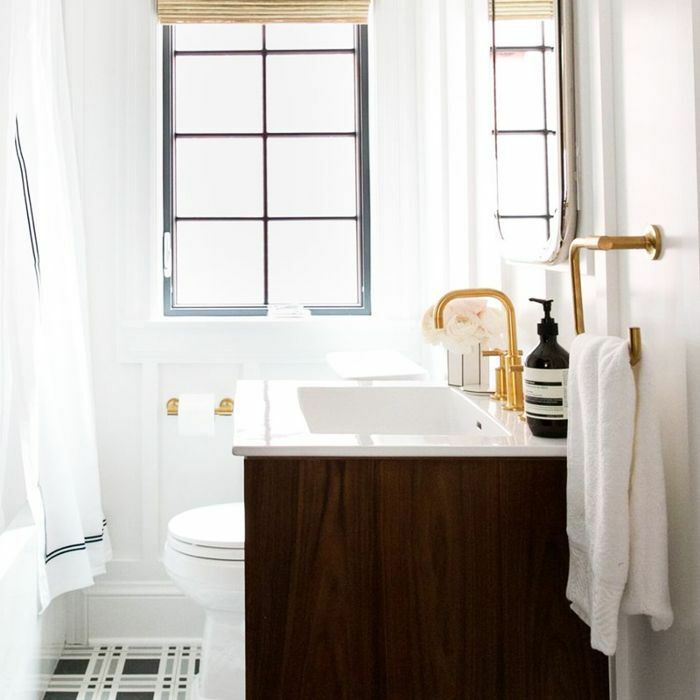 With the right layout and appropriate furnishings, even a tiny bathroom can feel open and airy. So what's the styling trick that makes the most out of a small bathroom? 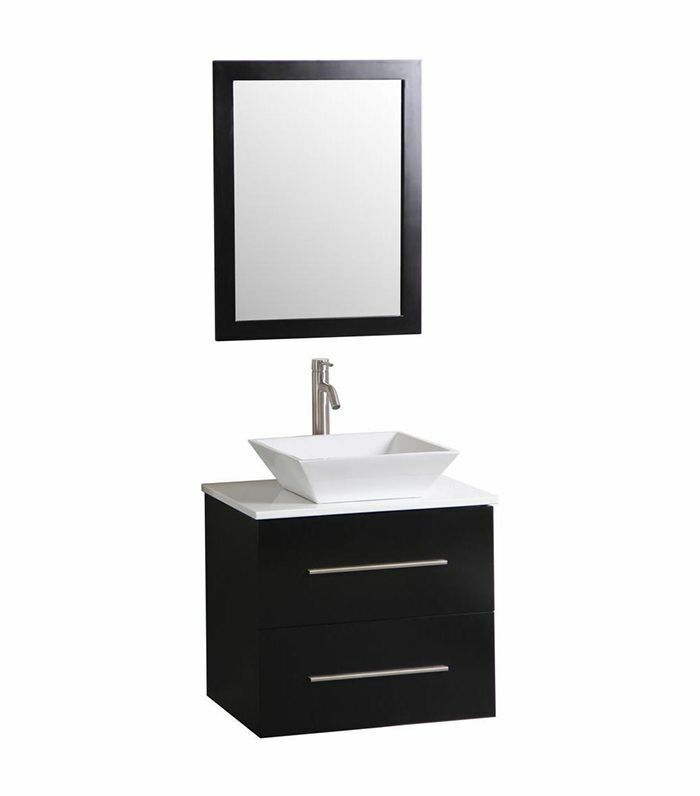 A well-proportioned vanity that makes a striking statement while suiting all your storage needs. 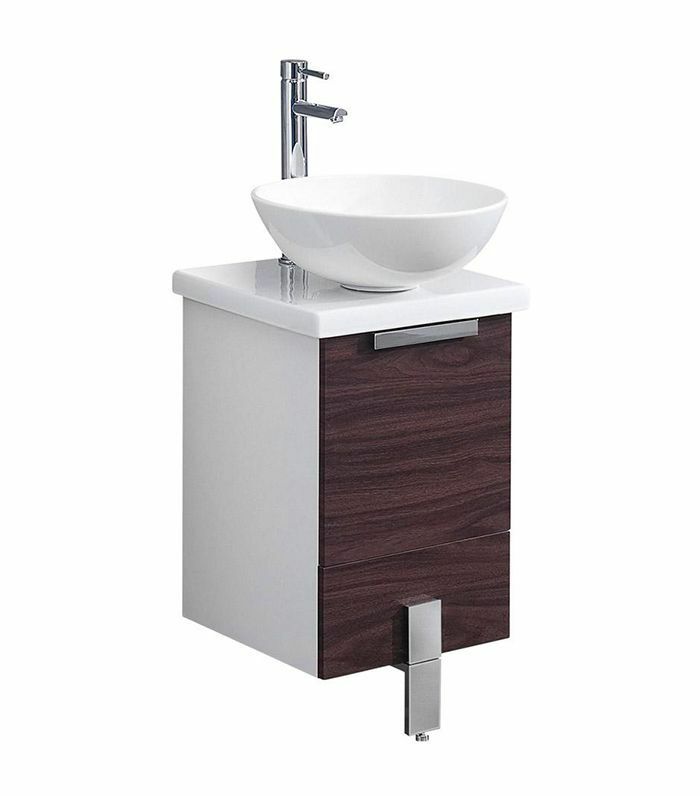 The best vanities for small bathrooms work within the space to deliver a pared-back presence without compromising on design. 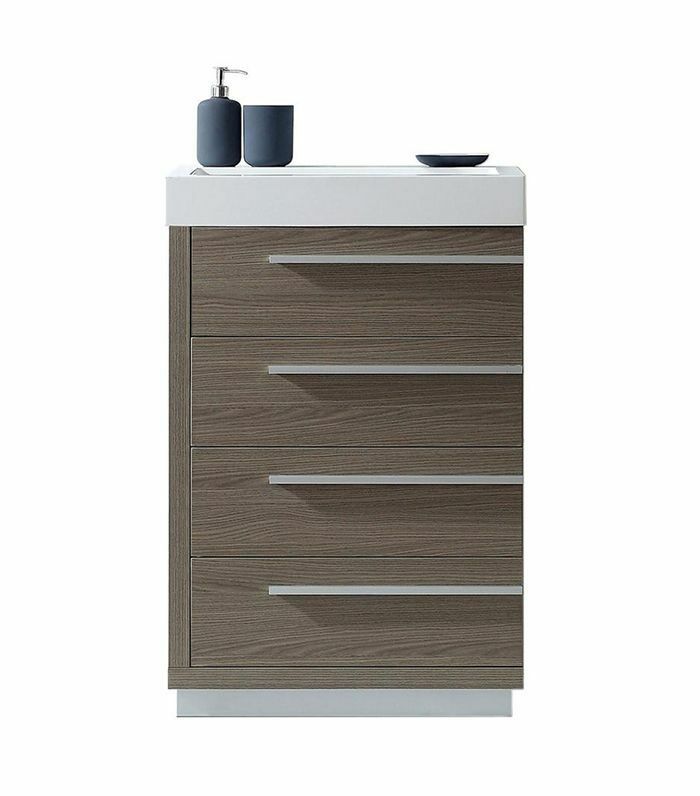 Sleek lines are scaled down, limited countertop space is counterbalanced by ample drawer room, and wall-mounted vanity varieties make the floating look functional. Keep scrolling for eight vanities for small bathrooms that make the most of your space. 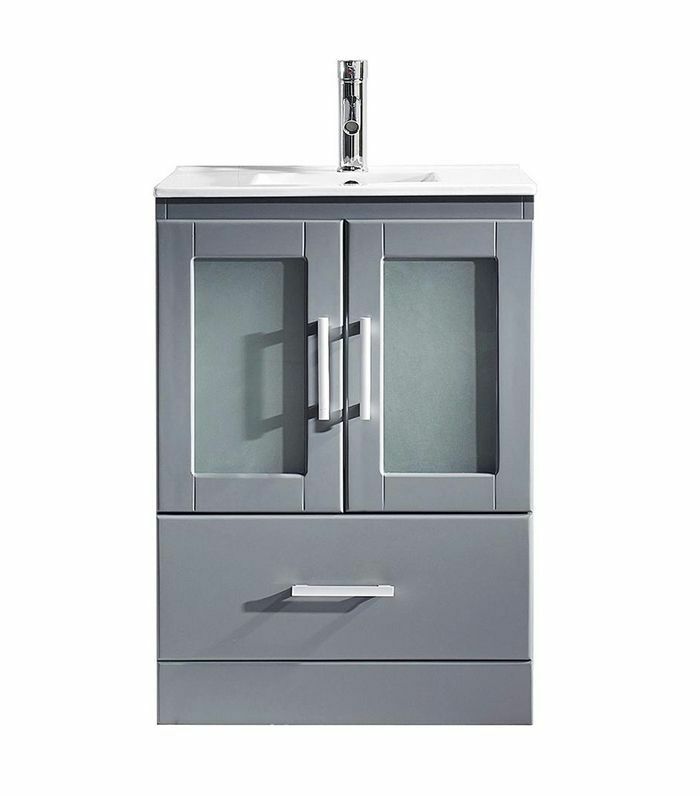 The unexpected asymmetry of this minimal vanity's cabinets instantly modernizes the look. Four drawers mean you'll have plenty of room to stow away all your bathroom accessories. The bowl sink makes the most of the limited counter space while also driving home striking design. The rich dark walnut drawers serve as a lovely juxtaposition against the white ceramic. Leave it to IKEA to serve up superbly classic design at a modest price. 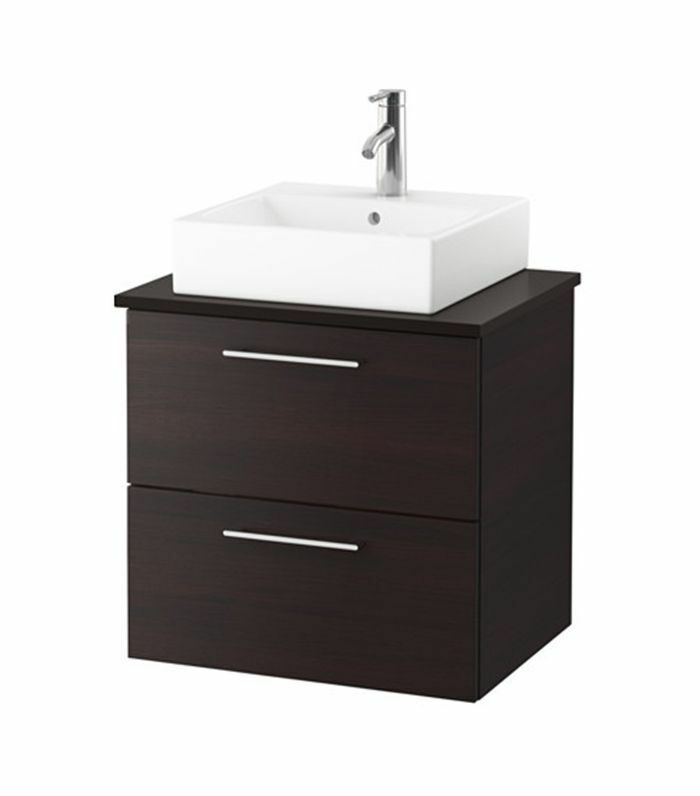 This simple vanity serves your small-space needs while also adding to your small bathroom's style. Go wider with a wall-mounted vanity that allows for airiness in your small bathroom. A natural walnut finish brings warmth to the modern design. This raised sink makes a stylish statement while also clearing up counter space. The dark wedge provides a striking contrast with the white top and china basin. 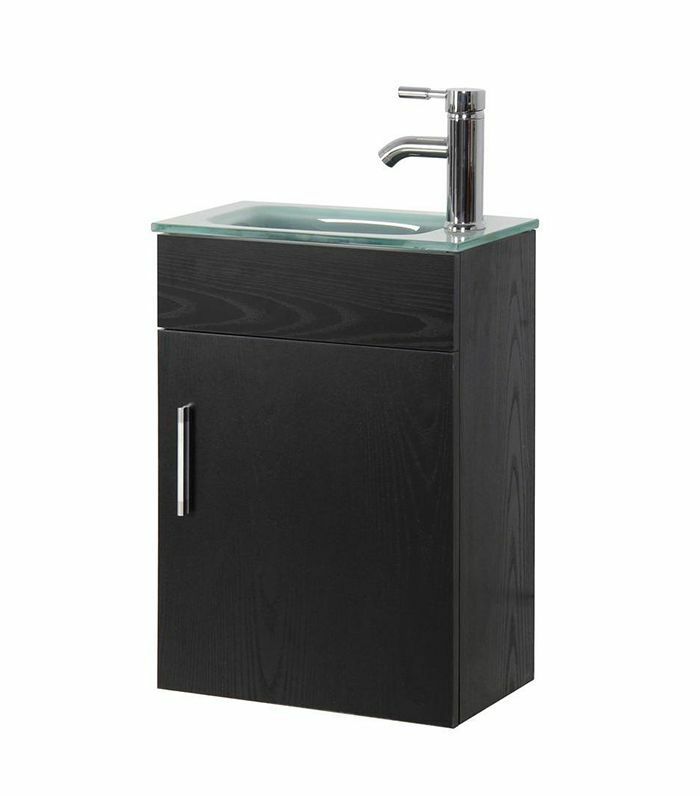 For a more traditional look, this solid oak vanity offers up counter space as well as abundant storage. 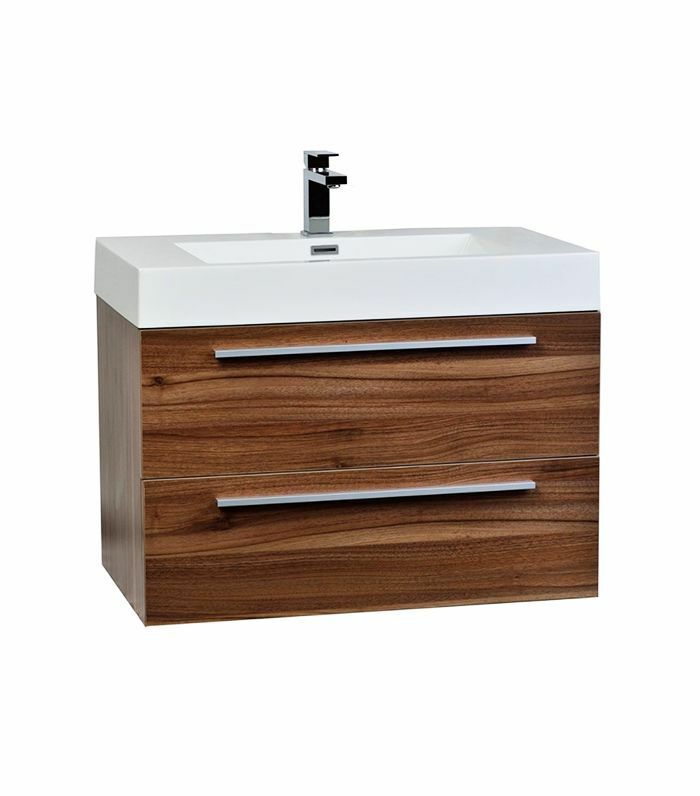 This sleek, narrow vanity has a high-impact design without taking up much space. 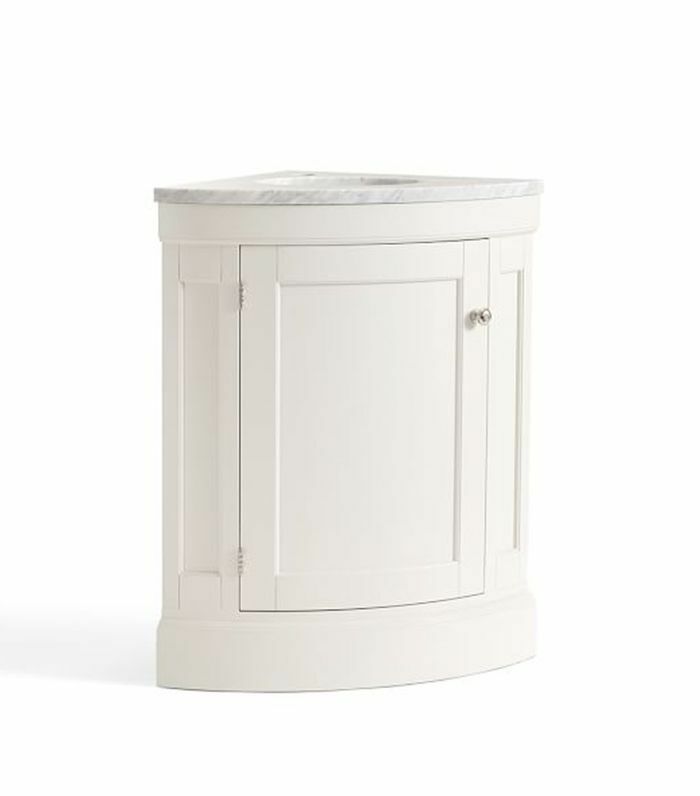 If you're short on space, a corner vanity can be a chic solution. Check out a bathroom makeover that's a lesson in small-space design.